Irwin Video offer a video cassette to DVD transfer service. We can transfer from various video tape formats to DVD, or if you prefer we can transfer your tape to an MPEG4 video file. Please enquire for a discount price if you require more than 5 video tape cassettes transferring. 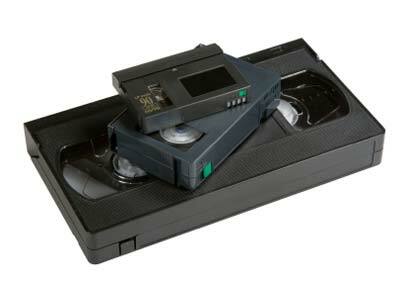 Irwin Video offer a drop-in service to customers wishing to have their video tapes transferred to DVD. Our business premises are located in Golborne, Cheshire, between Warrington and Wigan. Please see our address below or contact us for further details.